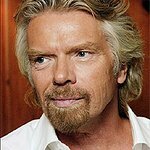 Sir Richard Branson has blogged about giving up eating beef to help the environment and to make food production more sustainable. “Last month, the Guardian asked readers whether they would consider eating lab-grown meat to save the environment,” wrote Branson. "Almost a third of all respondents said yes. “These results should be taken with a grain of salt, but I think the trend they reveal is good news for the planet: more and more people recognise that conventional meat production can have truly devastating environmental impacts. “It’s one of the reasons I gave up eating beef earlier this year, and it looks like I am not the only one. Surprisingly, for myself, I haven’t missed it at all. If we could get many other people to do the same, we would be healthier, and we would help sustain the beautiful biodiversity we are losing in the rainforests. “As more people come out of poverty in emerging markets, the worst thing that could happen is that demand for cattle continuing to rise. If that happened we would soon have little rainforest left in the world, little biodiversity and climate change would accelerate. “Beef substitutes make the transition to more conscious consumption a little easier. One such company is Beyond Meat, which is developing plant-based foods that taste just like meat but eliminate the need for cattle and other animals to be eaten.